To treat patients safely, dentists need to know about their patients’ overall health issues. 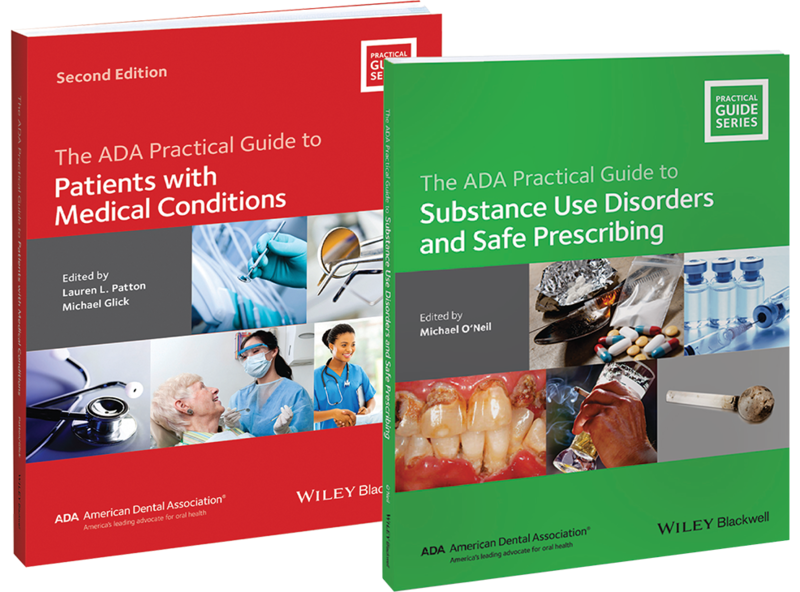 These two books cover a huge spectrum of non-dental factors to help you give safe, coordinated care. The ADA Practical Guide to Patients with Medical Conditions has updated guidelines for treatment and medications, as well as key questions to ask the patient and physician. Topics include Cardiovascular Disease, Pulmonary Disease, Bleeding Disorders, Neurodevelopmental and Psychiatric Disorders, Geriatric Health, HIV/AIDS and more. Substance Use Disorders and Safe Prescribing is the only book on this topic especially for dentists. It explains how to prescribe opioids responsibly, spot drug-seeking behaviors, provide safe pain relief, store controlled substances securely, and refer patients for treatment.